Jars of sweets, especially those old fashioned ones, have gained in popularity in recent years. With our range being made up of those favourite sweets that you remember eating as a child, our jars of sweets include bon bons, lollies, hard boiled sweets, chewy toffees and many more. No matter what your sweet preference is, we are sure to have your favourite sweets packed into one of our sweet jars. Our jars of sweets are perfect for any sweet lovers, whether you are buying them for yourself or to stock in your sweet shop. Some of our jars of sweets are up to 3kg in size, meaning you can enjoy more of your favourite sweets. If you are a trade seller, looking to recreate an iconic old fashioned sweet shop, our jars of sweets can manage the job perfectly. Buying our jars of sweets in your shop can gain you a reputation as an iconic retro sweet shop - perfect to get people talking and into your shop. Most people can't resist and old fashioned sweet shop and by stocking jars of sweets, you will be able to replicate those shops that we remember from years gone by. If you are just a sweet lover, looking for a larger quantity of some of your favourite sweets, you have definitely come to the right place. Our jars of sweets include favourites such as cough candy, sweet peanuts, mint humbugs, chocolate limes and more. Sweet jars also make the perfect gift for anyone who loves a sweet treat. 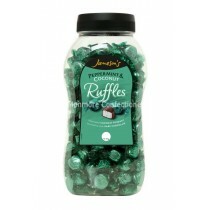 Imagine receiving a big jar of your favourite sweets - what could be better? If you are local to the Bilston, Wolverhampton or West Midlands area, why not come down to our trade warehouse? You can see all of our jars of sweets and complete your order in person. 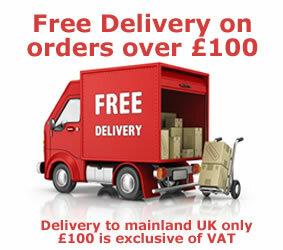 If you are shopping online, with next working day delivery as standard, you can receive all of your sweets the very next day. With the range of sweets and low prices, you will love shopping the jars of sweets at Monmore Confectionery.